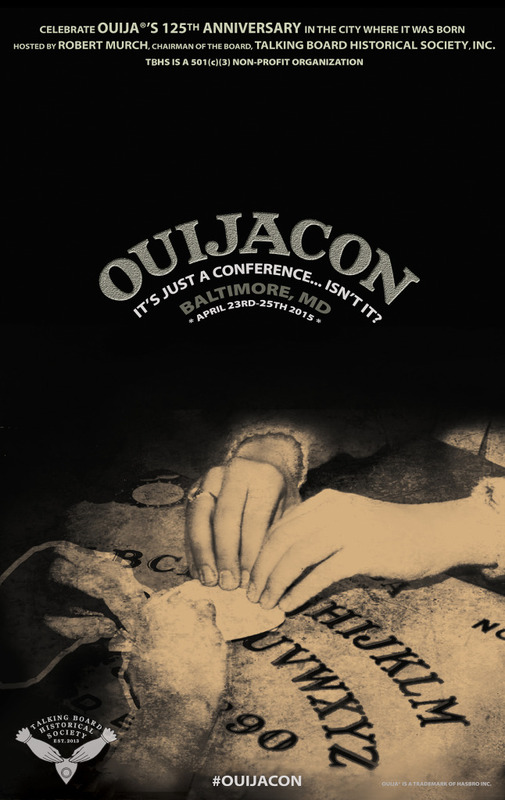 Celebrate Ouija’s 125th Birthday in the City Where it was Born: Baltimore! Come celebrate the history and legends of the Ouija board with some of the world’s foremost authorities on the subject. The conference includes lectures, workshops, plus collectors from around the globe will be setting up a temporary museum showcasing over a century of talking boards. OuijaCon is the Talking Board Historical Society, Inc.’s inaugural event. All proceeds will go to benefit the society, a 501(c)(3) registered non-profit organization. See the World’s First Travelling Talking Board Museum! Collectors from around the globe will have some of their prized pieces on display. There has never been a collection brought together like this before. Come see 125 years of history and artifacts related to talking boards, dial plates, spirit trumpets, and much more! Talking Board Historical Society, Inc.